One of my friends is expecting her second baby on Christmas Eve, so I decided to make her a big batch of my wedding soup to enjoy after the baby arrives. She already has my cookbook of quick freezer recipes, and I wanted to make some extra special. I don’t know about you, but I love eating soup after having a baby. It’s light, it’s full of vegetables, and it’s delicious. My wedding soup recipe is one of those recipes, the kind that people ask you for the recipe when they try it. Yeah. It’s really good. Warning: This is NOT one of my 15-Minute Recipes. 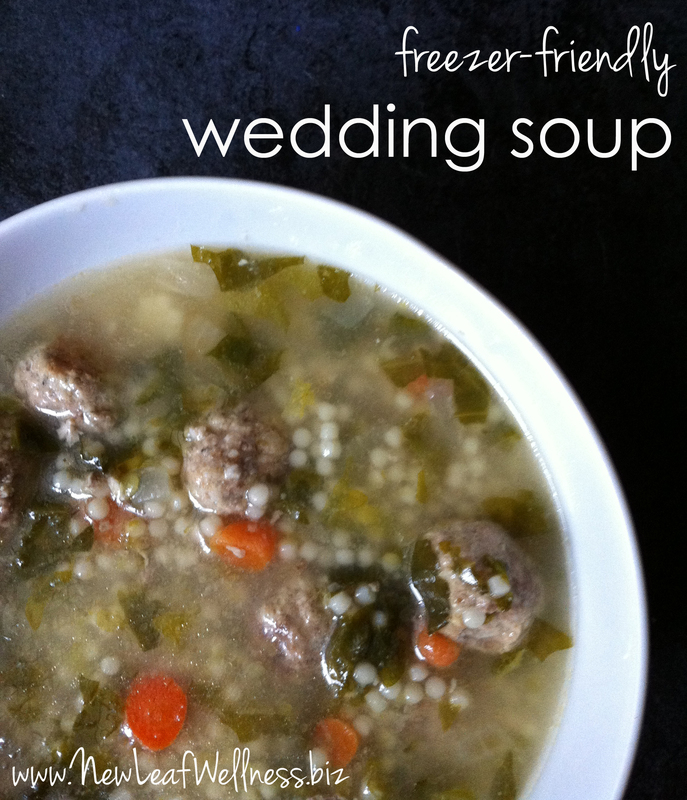 It takes time to make this awesome wedding soup. Probably because you’re prepping 100+ mini meatballs. But trust me, it’s worth it. 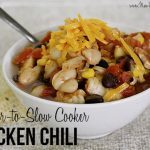 Since you’re putting so much time into making it, why not freeze some for a quick and easy meal later? I’m including those directions too. And did I mention my 17 month old loves this soup?! If I haven’t convinced you to make this soup yet, I don’t know what will. In medium-sized bowl, combine meatball ingredients. Use a teaspoon to scoop small meatballs onto cookie sheets or glass casserole dishes (I don’t know why, but my meatballs are less likely to burn in glass dishes). Bake meatballs in pre-heated oven 20 minutes, flipping about half-way through. In a large pot, add olive oil, onions, and carrots and cook until they start to get soft (about 15 minutes). Add broth and bring to boil. Stir in escarole and meatballs, and boil for 10 minutes. Cook pasta separately according to directions on package. Add pasta to finished soup and serve. Yields: A whole heck of a lot of soup! Prepare soup to step 6, cool to room temperature, and freeze in a glass or plastic container. 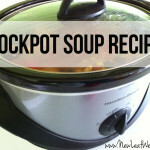 When ready for soup, thaw overnight in your refrigerator and warm in a pot or microwave. Cook pasta separately and add before serving. Make and bake the meatballs. Cool to room temp and freeze in a gallon-sized plastic freezer bag for up to 3 months. When ready for soup, add the frozen meatballs with the rest of ingredients (except pasta) to your slow cooker and cook on low for 10-12 hours. Cook pasta right before serving and add. NOTE: My slow cooker only holds 4 quarts, so I split my meatballs into two freezer bags and use one bag with half of the soup ingredients per meal. 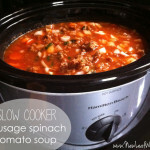 Otherwise my slow cooker would overflow. 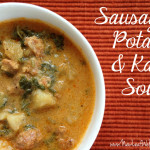 If you’re into soup, check out this awesome recipe for Slow Cooker Sausage Spinach Tomato Soup. I think I like it more every time I make it! Love wedding soup, I do egg strands also. Scramble some eggs and slowly incorporate them into the hot soup! just made this soup. great stuff. As good as or better than I have had at italian restaurants. Give it a try. one suggestion, unless you are making it for a big crowd, after the birth is boiled just with the meatballs, divide the liquid and meatballs, the add half the pasta and greens to half of the liquid and balls. Freeze the other half for another day. Thank goodness J ddj I was a little concerned! Looking forward to trying this! Why does this recipe call for 1 lb of beef and 1 lb of pork, but in the “Italian crockpot freezer meals” recipes, it says 12 oz of meatballs. ?